If you are missing a large portion of a tooth due to a break or decay, a core and crown may be necessary to rebuild and cover the tooth to hold the remaining tooth structure together. This process will consist of a single appointment. We will buildup the broken/decayed tooth and fabricate a crown in-office using our CEREC CAD/CAM machine and in-office porcelain milling unit. No more 2 appointment crowns and messing with temporary crowns. Another option to replace a missing tooth would be a fixed bridge. The procedure would involve shaping the teeth on each side of the missing tooth space for crowns, and then our dental lab would fabricate an additional porcelain tooth to fill in the space. 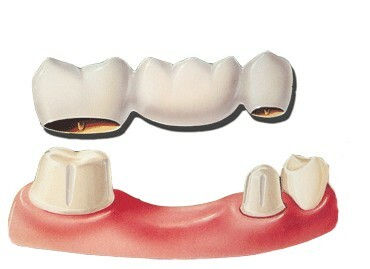 There are many ways to make dentures and partials. Our process involves trying in the denture or partial each step of the way to make sure you are happy with the fit and the look of the teeth before the denture is sent to the lab for final processing. Adjustment appointments are common following a new denture to adjust any sore spots where the new denture may be rubbing on your tissues. When removing decay or repairing small breaks of your teeth, we restore teeth with composite. Composite is a tooth colored resin filling material. This material is chosen over amalgam (silver) fillings because it is not a mixture of metals that can expand and contract and potentially result in fracturing of your tooth. Additionally, composite resin fillings are chemically bonded to your tooth which makes the tooth stronger. Extractions are always considered as a last resort or upon patient request. If a tooth has to be removed our office can do the extraction for you. In rare cases, we may refer you to an oral surgeon. 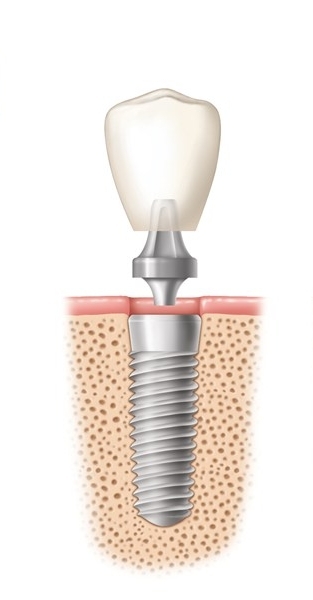 Typically the procedure is painless, and you’ll feel only pressure. For those patients who have a diagnosis of Sleep Apnea we are able to use our Galileos CT to obtain a 3D image of your airway and jaw. We are then able to custom fabricate a sleep apnea appliance that helps hold your jaw in a more forward position, which opens your airway as you sleep. Often this eliminates the need for cumbersome CPAP machines. As a benefit to our regular patients, we offer Sonicare toothbrushes at our cost. We have offered Sonicare brushes for years and have seen the great results that can come from using these devices. For patients wanting to improve the cosmetic appearance of their teeth we offer custom fit whitening trays and gel for you to wear in the comfort of your home. This system offers the best way to get your teeth their brightest.